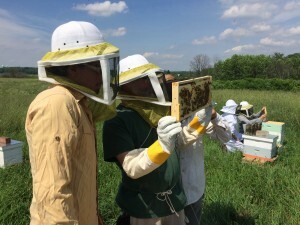 Honey bees do more than just pollinate flowers and make honey. They also pollinate a third of the world’s crops and are critical to our agricultural system. Their populations, however, are in severe decline. Here at the Zoo, you can view a live outdoor honey bee hive habitat found across from the World of the Insect! 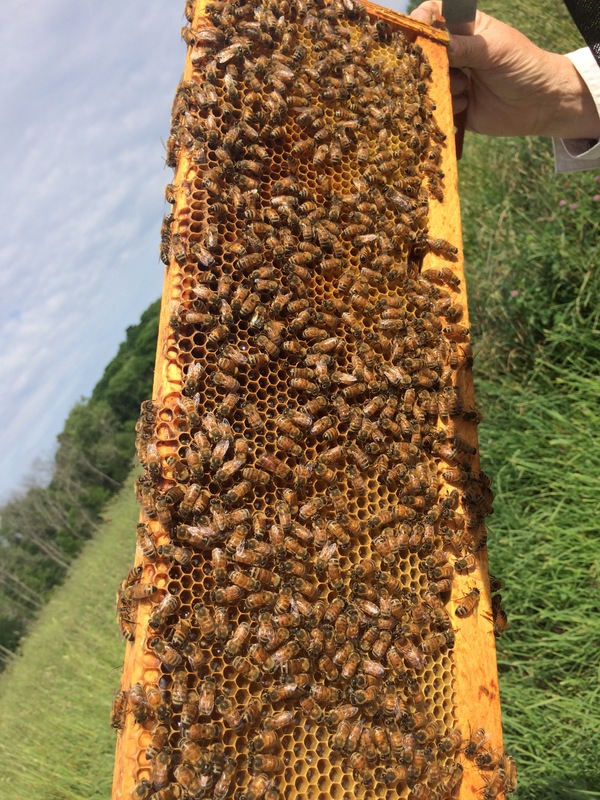 We also have established honey bee hives at our Bowyer Farm to contribute to the population. 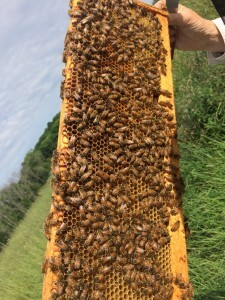 The hives are managed by an internal beekeeping team. Unlike the more aggressive hornets and wasps, a honey bee stings only when threatened and it can do so just once. The Zoo has teamed up with Bee Spotter to learn more about the bees in the greater Cincinnati area, and we need your help! Simply snap pictures of bees that you see and submit it with a date and location to beespotter.org/cincinnatizoo. An expert will identify the species and add it to the database. If you spot a swarm or cluster of bees, contact your local Beekeepers Association for appropriate removal. The Zoo is not able to assist with this. About ½-inch long, honey bees have slender, slightly fuzzy abdomens that are pointed at the tip, and they have an obvious striping pattern. Bumblebees are bigger, pudgier, furrier and have rounded tips to their abdomens, and they don’t have many stripes. Wasps and hornets are similar in size and color, but they have smooth, narrow abdomens with no hair.